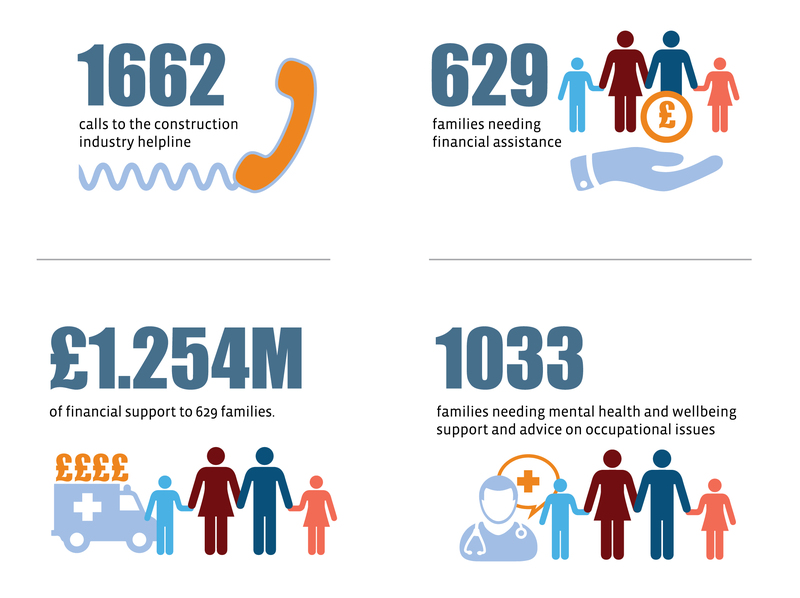 In 2018 the Construction Industry Helpline provided £1.254m of charitable services to support the wellbeing of the construction workforce and their families in the UK and Ireland. The Lighthouse Construction Industry Charity runs the helpline, which received 1662 calls last year, of which 662 were seeking emergency financial support. This is an increase of over 40 per cent on 2017. The amount of charitable giving provided in 2018 was £1.25m, a jump of 75 per cent on the previous year. Of the 1662 cases presented to the helpline, 1033 of these were given advice and support on issues ranging from mental wellbeing issues through to legal, debt management and taxation advice. The charity has also seen a huge increase for requests of its helpline packs and now have over 350,000 helpline cards in circulation within the construction workforce.